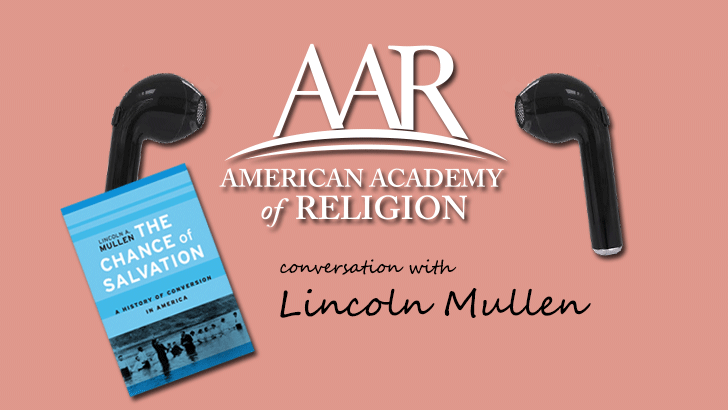 Lincoln Mullen, author of "The Chance of Salvation: A History of Conversion in America," joins Kristian Petersen in a conversation about the spectrum of religious identity in American history and how the phenomena of conversion is allows scholars to study a variety of religious groups—and their relationships to each other. Mullen is the winner of the 2018 AAR Award for Excellence in the Study of Religion in the category of historical studies. 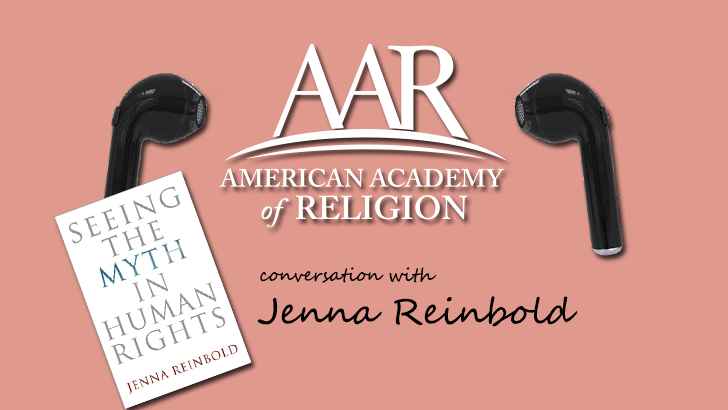 Jenna Reinbold, winner of the 2018 Award for Excellence in the Study of Religion in the category of Analytical-Descriptive Studies, discusses her book "Seeing the Myth in Human Rights" (University of Pennsylvania Press, 2016). Reinbold is interviewed by Kristian Petersen. You do not know who wrote this article—but you probably know who I am. I am a professor in theological education. I am well respected by my students and by scholars in my field. I am mid-career, an established scholar and a veteran teacher. I work full time—at least 40 hours a week. I teach four to five courses per year; advise students; recruit prospective students; direct DMin projects; and lead workshops. I am the author of multiple books (one by a university press) and over a dozen peer-reviewed articles. I am co-editor of a well-received textbook and am sought after as an editor by colleagues and publishers. 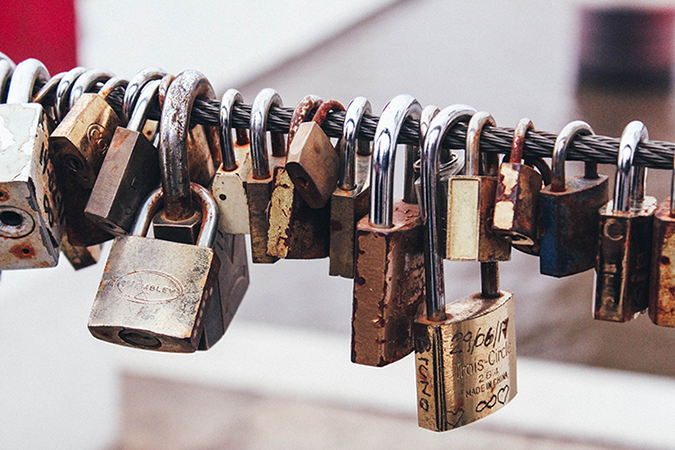 I am regularly invited to peer review articles and books, and I serve in leadership in my scholarly guild, my church, and the seminary communities in which I teach. Yet, I earn less than $20,000 a year—and without benefits or job security. I am the contingent faculty member in your midst. What, if anything, am I owed? 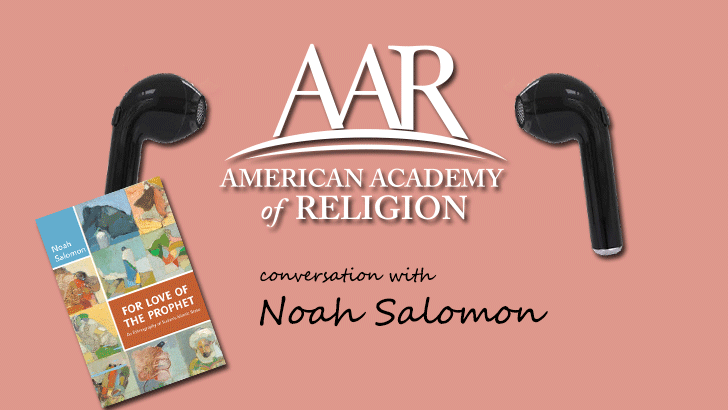 Noah Salomon, author of "For Love of the Prophet: An Ethnography of Sudan's Islamic State" (Princeton University Press, 2016) and winner of AAR's 2017 Award for Excellence in the Study of Religion in the category of analytical-descriptive studies, talks to Kristian Petersen about his fieldwork in Sudan, the attempts at a unified Sudan prior to the 2011 partition, and tradition of the Islamic nation-state. There is no way to deeply consider religion—its history, definition, impact, danger, and promise—without also thinking about the construction of race. And yet, addressing race, racism, and white privilege in the religious studies classroom is fraught with challenges for faculty and students alike. These tensions have been exacerbated by the contemporary political climate in the United States, but ultimately stem from much deeper historical roots involving settler colonialism, the genocide and forced relocation of indigenous populations, and the enslavement of peoples of African descent. Addressing this maligned history in the United States as well as different iterations of it around the world, considering its contemporary consequences, and envisioning possible futures is part of the important work taking place in religious studies classrooms. Unlike my colleagues contributing to this Spotlight, my emphasis is less on what one could or should do and more on what one should not do. Specifically, I recommend that you do not teach a course on whiteness studies as an untenured professor, lecturer, or (god-forbid) as an adjunct. Likely, my colleagues might disagree, and I too hate to take this standpoint, but I ask that you at least consider my perspective as one end of the spectrum, where I advise excessive preparation for the potential negative consequences of teaching antiracism. While I teach religious studies in university classrooms, I also direct a nonprofit educational organization, the Institute for Diversity and Civic Life (IDCL), where we offer programs that build understanding of religious and cultural diversity. Many of our programs are geared towards adult learners and, more specifically, professionals who are navigating dynamics of diversity and difference in their organizations, companies, or communities. Recently I had a front row seat at my oldest son’s kindergarten graduation. Before receiving their diplomas, the children performed a montage of lessons they had learned during the school year—reading, writing, arithmetic…and world cultures. They conveyed the lessons with a cursory description of major holidays that took place within the semesters. I don’t object to using holidays as a touchstone, but I surely failed at hiding my disappointment in the execution of the lesson. One child told us about the whimsy of Christmas—a winter holiday celebrated by most families present, even those not identifying as Christian. “Jewish people,” another child said, celebrate Hanukkah, and preceded to describe the function of a menorah which was depicted on a poster he had colored. Then a child approached the mic to explain how “Some people celebrate Kwanzaa,” all the while holding a different candleholder scribbled on a poster. Difficult topics are par for the course in the religious studies classroom. Our object of study, the myriad human behaviors categorized as religion, often spark impassioned debate and disagreement. However, the main pedagogical issues I face in the classroom tend to emerge from the absence, not the abundance, of debate and dialogue. 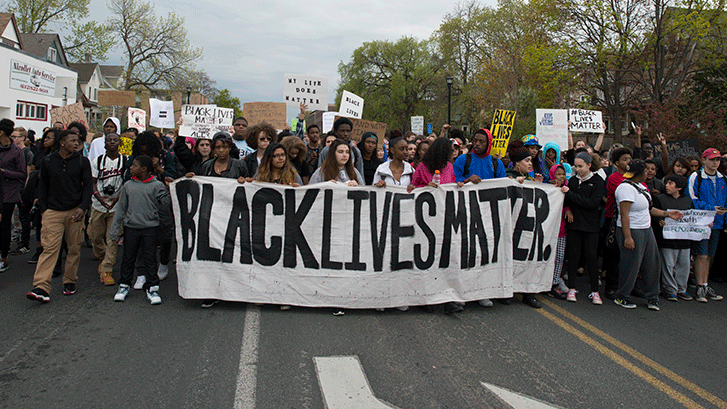 This became even more palpable after the most recent presidential election, as students became reticent to speak about issues like race and religion or any of the contemporary political examples that I wanted to use for class discussion. Candidate Trump’s proposed Muslim Ban, and the later executive orders meant to instantiate it, are excellent examples of the issues we should be talking about in religious studies courses. However, my students had difficulty engaging with these issues, both in class discussions and in response papers.